The first Congress of Commonwealth Universities was held in July 1912 in London, England, and spawned the body now known as the Association of Commonwealth Universities, or the ACU. This original meeting involved only fifty-three universities, by invitation, and a key member of the group was somewhat unexpectedly the fledgling University of Manitoba in Winnipeg, Canada. 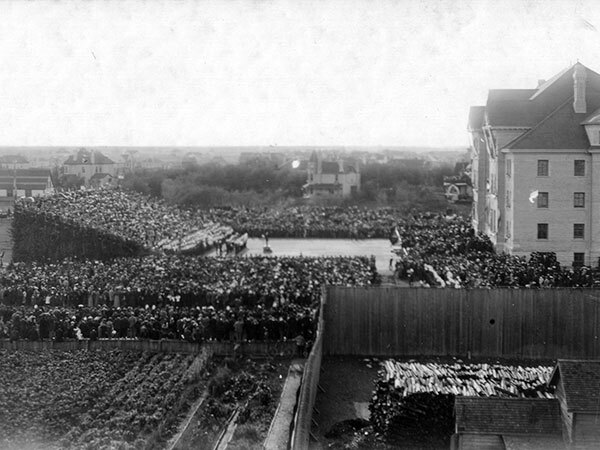 A standing-room-only crowd attended the 1901 opening of the University of Manitoba’s new science building on Broadway [now the site of Memorial Park], officiated by the Duke of York [later King George V]. At this time, the Head of the Department of Physics at the University was Frank Allen who, although a young professor at the time, was appointed by the Province to represent his university and province at the London Congress. While there, Allen led a discussion on the topic “Why should the British Universities refuse reciprocal recognition to Montreal and Toronto (which they had done) and thus drive Canadians by the 100s to Universities in the United States?” The reasons for this situation are not entirely clear at that time, but might relate to the fact that it was not until May 1919 that a papal charter from Pope Benedict XV granted full autonomy to an independent Catholic university with Université de Montréal as its name. The University of Toronto, on the other hand, founded in 1827, became a collegiate university comprising twelve diverse colleges with much independent autonomy, not unlike the universities of Oxford and Cambridge in England, but only in 1971 became a truly monolithic university. It is one of two members of the Association of American Universities located outside the United States, and Toronto puts great store in that relationship which still continues. In 1912, Winnipeg was at the forefront of global change in academia. Frank Allen (1875–1965) had graduated from the University of New Brunswick in 1895, taken his MA two years later and then received the PhD degree from Cornell in 1902 for a thesis on “The Persistence of Vision in Colour Blind Subjects.” He then went to Winnipeg in 1904 as a researcher and teacher of physics. 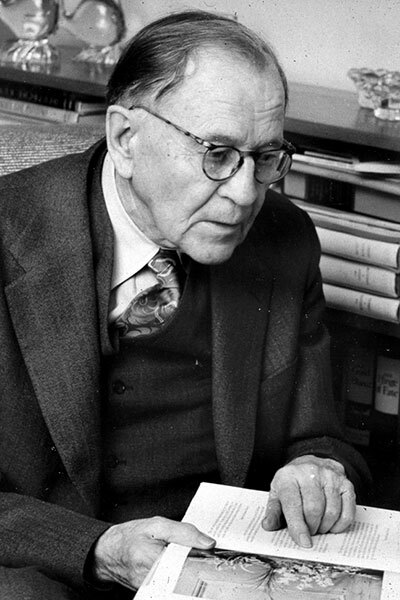 He published more than 300 papers between 1900 and 1950, and was still productive in 1964. He led the Department of Physics as Head for forty years; the longest tenure recorded at the University of Manitoba, and continued to pursue research in optics to the year of his death. It is important to note here that, while in Great Britain for the Congress, Allen also attended the annual meeting of the British Association for the Advancement of Science, the leading world body for promoting and communicating scientific advances at the time. His invitation there was both timely and appropriate as Birmingham, founded in 1900 as one of the newer “Red-Brick” Universities, was actively involved and an English contemporary of Manitoba in Canada. 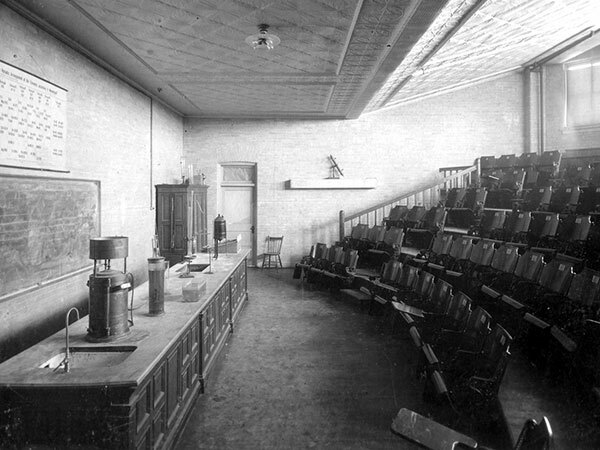 A lecture theatre in the University’s new science building, circa 1905. By an earlier happy circumstance, Winnipeg had already become a prominent player in the Commonwealth Universities arena as a result of hosting the Annual Meeting of the British Association for the Advancement of Science in 1909, and attracting a large audience. The total attendance at the meeting was 1468 which exceeded that of Toronto, 1362 at the first Canadian meeting in 1897. Of the 1468, ninety were women, and seven from countries neither British nor North American. Some of the University of Manitoba’s first science professors (front row L-R: Swale Vincent, Frank Allen, Reginald Buller, Matthew Parker, Neil Mclean) had their photo taken with students, circa 1912. The stars of the meeting, however, were J. J. Thomson who gave his Presidential Address in the Walker Theatre, and Ernest Rutherford, then Professor of Physics at Manchester University, who gave an inaugural address to the mathematical and physical sciences section of the assembly in the Convocation Hall of Wesley College. Indeed, the foremost physicists of the decade were all in Winnipeg for a short period in 1909. The success of the 1909 meeting was remarkable and was recognized as such throughout the British Empire. Speaker after speaker at the closing sessions praised the excellence of the hospitality and arrangements, with Sir J. J. Thomson saying, “He wished to thank the citizens of Winnipeg for their generosity and hospitality which had known no bounds,” declaring it to have been “the most successful meeting in the history of the Association.” For the record, the program included polo matches, garden parties, a train trip for participants to the West Coast of Canada, and a banquet at Lower Fort Garry, accessed by riverboat. 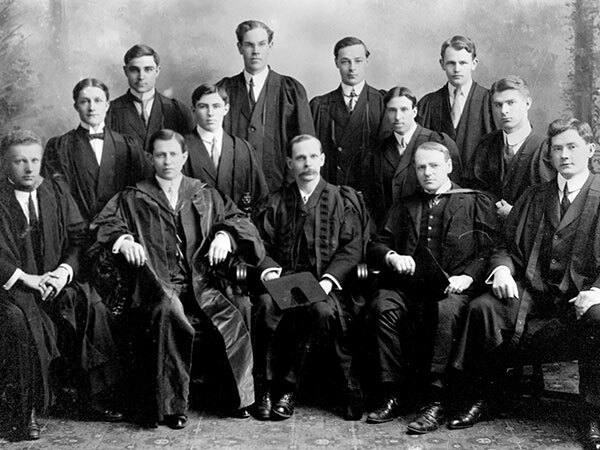 At the first congress in 1912, The University of Manitoba did not yet have a President or even a Dean in place, although its first science professors were both installed and well established. Indeed, by then Professor Allen was President in all but title, and represented the Province of Manitoba on many academic and public occasions. Frank Allen (1874–1965), the University’s first physicist, de facto leader before it had a formal President, and Head of its Physics Department from 1909 to 1949, kept up a daily routine of research work until shortly before his death. The role of Lord Strathcona was considerable as an evangelist for both the University and the Province of Manitoba. Strathcona, born Donald Alexander Smith in Forres, Scotland, was elected for the riding of Winnipeg in the first general election held in Manitoba in December 1870. In the following year he was elected to the Canadian House of Commons for the Federal riding of Selkirk. He became a leading figure in the Canadian Pacific Railway and had the honour of driving in the last spike, completing the construction of the cross-Canada rail line. Lord Strathcona was appointed High Commissioner to the United Kingdom in 1896, and continued in that role until his death in 1914. He was created Baron Strathcona of Glencoe in the County of Argyll and Mount Royal in the Province of Quebec in 1897. Indeed, at the age of 94 he hosted a reception in London during the first Congress that started near midnight. What fortitude for the cause! Now, in 2012, one century on, it is appropriate to remember the enthusiasm and creativity of the founders and staff of an embryonic University of Manitoba in a young city, Winnipeg, in a young country, Canada, with only occasional trains and ships for transport, and a boundless world of their own imagining ahead. Let us remember and celebrate their vision in 2012 and look forward with confidence to the future. Perhaps a commemorative plaque, or a summer Arts and Science Festival for the public, opening with the Winnipeg Symphony Orchestra playing Brahms’ Academic Festival Overture on the University lawn, would be appropriate, but that is for others to decide. It is important to look both backward and forward as the beginning of another academic year approaches. 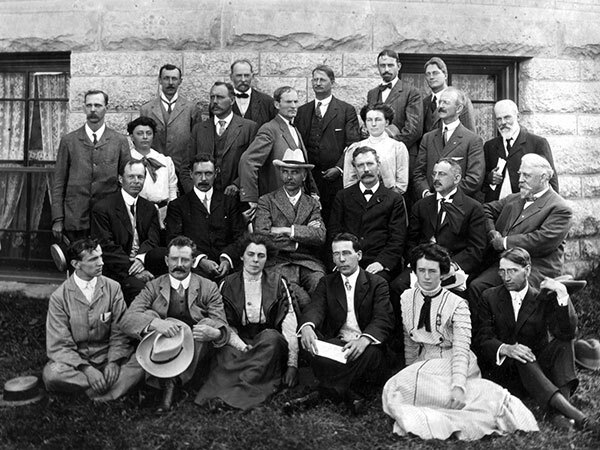 Scientists pose for a photo in front of the University’s science building during the well-attended 1909 Winnipeg meeting of the British Association for the Advancement of Science.